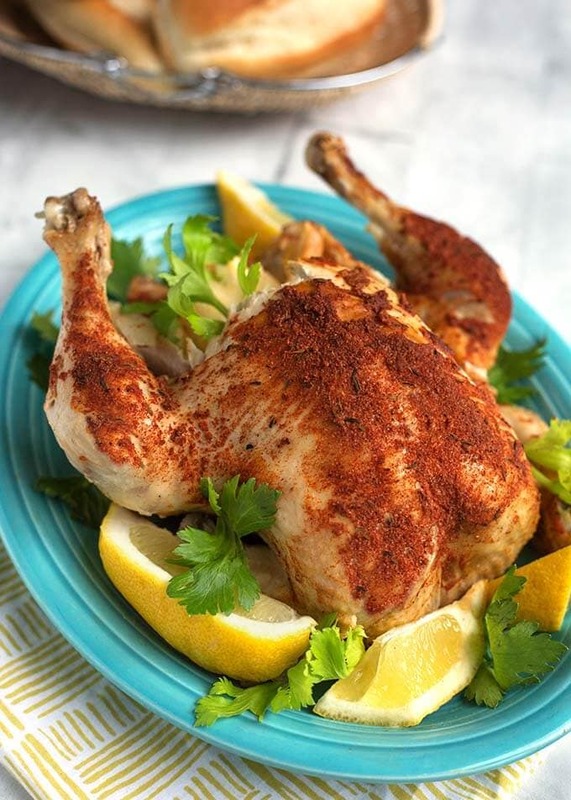 Rotisserie Chicken Spice Rub is a simple and flavorful spice blend for chicken. You can also use it on other meats and vegetables. I enjoy making my own spice blends. They taste fresher to me. It seems like each individual spice is more pronounced, and so the flavor shines through. The added benefit of not having weird ingredients or preservatives is also good! 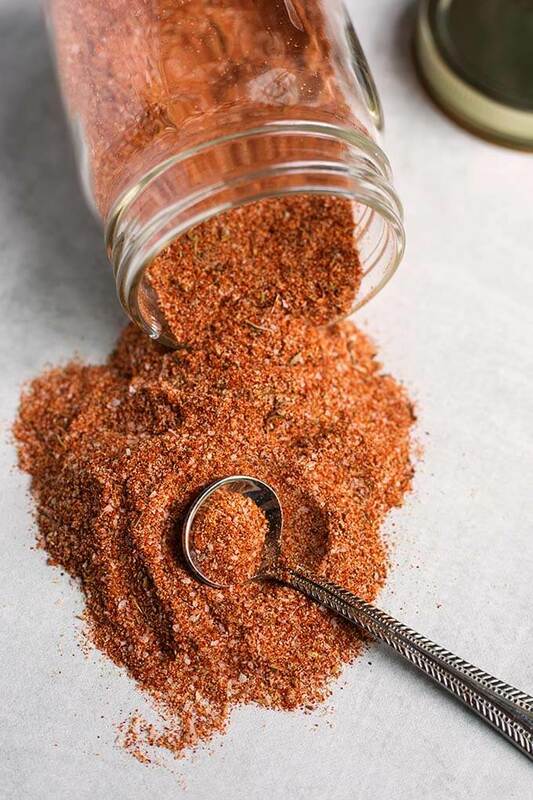 When I make a “rotisserie” style whole chicken, this Rotisserie Chicken Spice Rub is the only thing I put on the bird before I roast it. Sometimes I will put some lemon and onion in the cavity for extra moisture and flavor, but that’s all it will need. It’s delicious! 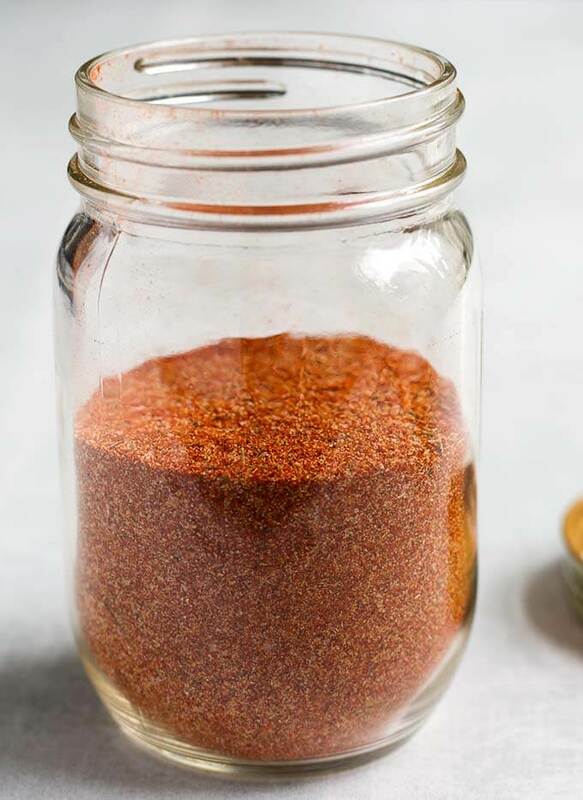 You can easily make this Rotisserie Chicken Spice Rub with commonly found spices, most of which you probably already have in your pantry! I like to save jars that come with good lids and store my spice blends in them. They are air-tight and I can easily see how much is in there. I usually stick a piece of masking tape on the bottom and write the name of the blend on it. 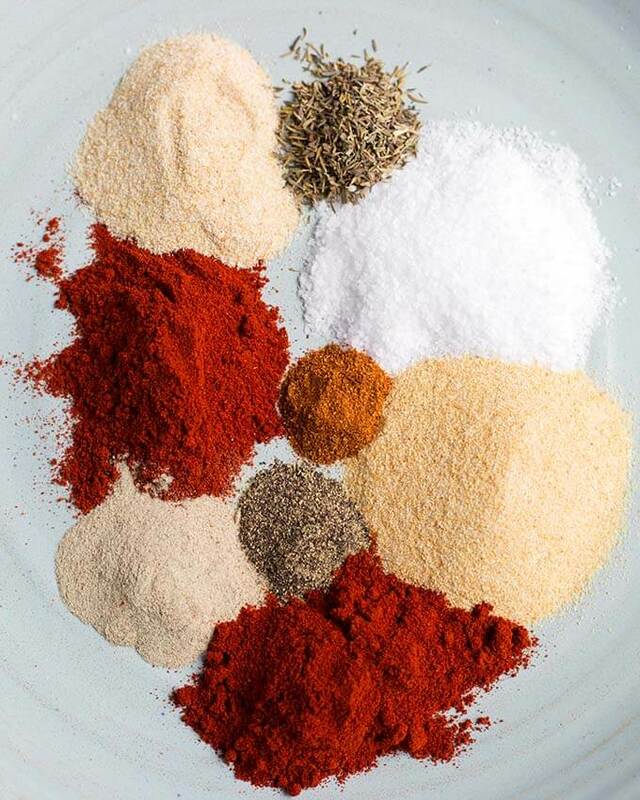 Rotisserie Chicken Spice Rub is a special blend of easy to find spices that is perfect for seasoning chicken. 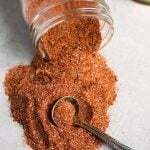 This spice blend is also delicious on corn on the cob, potato salad, and pork chops. Add all ingredients to a jar and place the lid on. Shake well to combine. Store in a cool, dark place. Rub on chicken or other meat before cooking. *Omit or reduce salt for a low sodium blend. Delicious and simple! I made a double batch. Hi Karen, I’m glad you like this spice blend! Simple can be perfect! Thank you for your review!